« What’s New in Disney? If you want to have a good time while you are conditioning your body, you should consider sports. If you are really good at something, you should pursue it. Who knows you will excel in national and international competitions? When you find the one thing that you are passionate about, you have to carry on. The Singapore government supports mainstream and non-mainstream sports. When you hear mainstream sports, it includes swimming, football and other known sports. If you are thinking outside the box, you consider non-mainstream sports. There are athletes that pursue non-mainstream sports here in Singapore. There is nothing wrong with it. The rewards may be smaller but the fun and the joy of doing it makes a difference. Non-mainstream athletes derive their motivations from the passion not from the money and other rewards. Muay Thai: Muay Thai is a combat sport. It originates from Thailand and it combines striking and clinching. Muay Thai involves great mental and physical discipline. You will use your shins, feet, elbows, fists and knees. There is an association for Muay Thai practitioners – World Muay Thai Council. A famous practitioner of Muay Thai here is Ms. Lena Tan. She will compete in the World Championships in Malaysia. The competition started on May 1 and it will end on May 10, 2014. 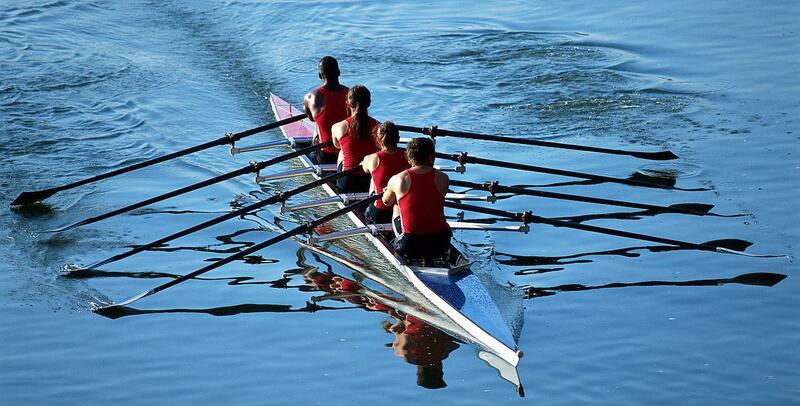 Rowing: Rowing involves a group. It is a sport that aims to propel a boat on water using the oars or paddles. Groups will race to the finish line. A famous rower Saiyidah Aisyah got the Southeast Asian Games gold medal last 2013 in Myanmar. Ultra-triathlons: Ultra-triathlons will definitely test your limits. It involves swimming, cycling and running. This will include 2.4 mile swim, 26.2 mile run and 112 mile bike. Ultra-triathlons cover different distances like Deca Ironman, Triple, Quintuple and Quadruple. There is an association for ultra-triathloners – the International Ultra Triathlon Association. It is a sport for both men and women. It requires great endurance. There is one man that is a famous ultra-triathlon here – Dr. Kua Harn Wei. He holds the record as the first Asian to compete in the Deca Ironman last 2006. Not all people know this. If you think that you excel in non-mainstream sports, you should pursue it no matter the obstacles. If other people do not know it, let it be known through you. You can invite your friends and family to join you or watch you do the sports.